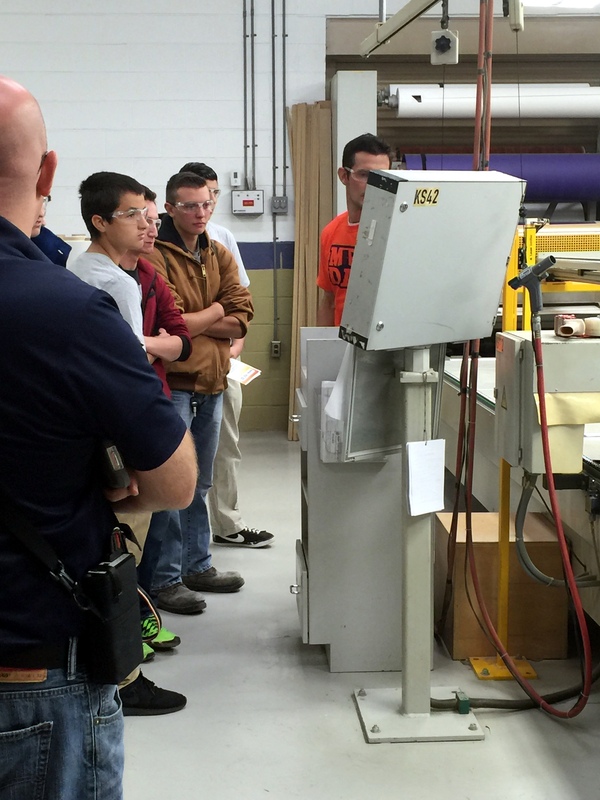 Manufacturing Day was held nationwide on October 2, 2015 and JB Cutting was proud to host two events at our facility. 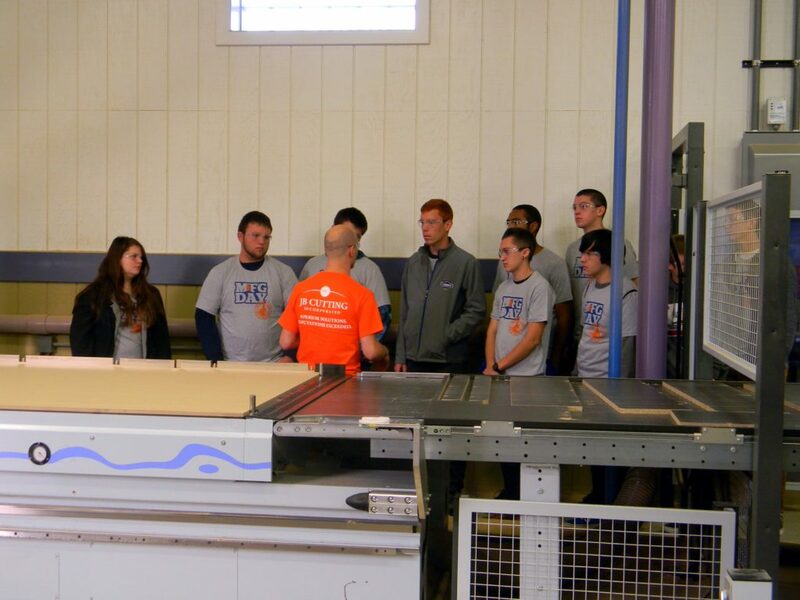 Manufacturing Day is designed to clear-up common misperceptions about manufacturing while also giving manufacturers an opportunity to open their doors and show, in a coordinated effort, what manufacturing is – and what it isn’t. The day started around 8:30am as 30 students were dropped off at our East Facility. These students were from the Chippewa Valley School District – specifically Chippewa Valley High School and Dakota High School. 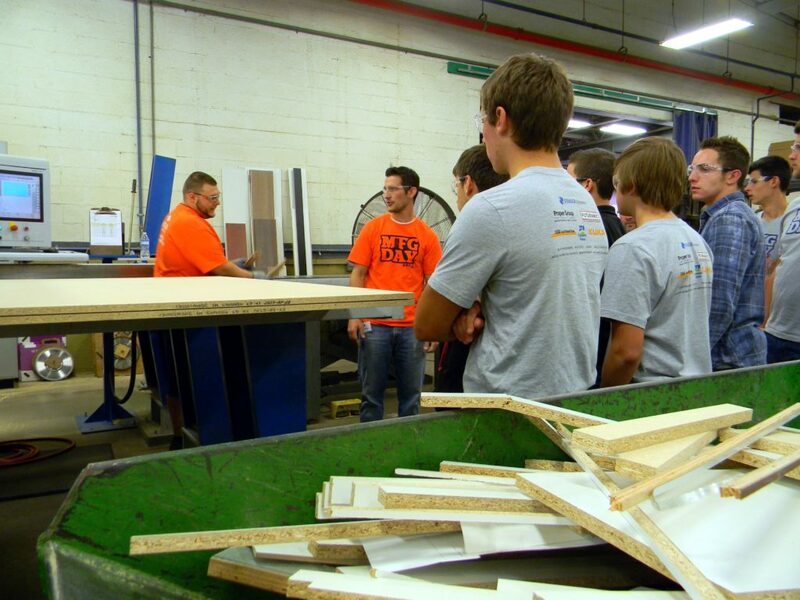 Most students were from construction/woodworking classes. 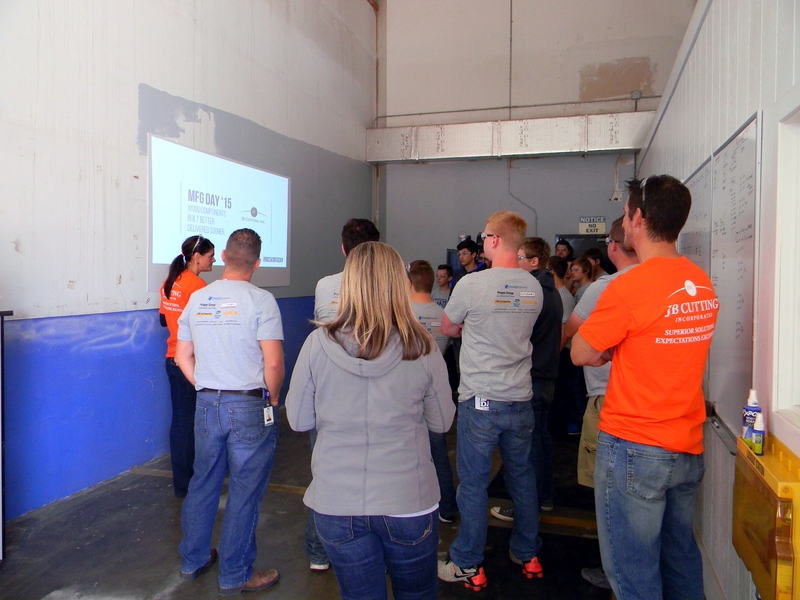 The first item on the agenda was a PowerPoint presentation by the president of our company, Debra Behring. The presentation started out with a little history about JB Cutting, continued into what we do and finished with how we do it. Debra also touched on the importance of taking STEM (science/technology/engineering/mathematics) classes. After seeing how raw parts were produced, students moved on to secondary processes. We loved interacting with these inquisitive young people! After a quick stop in the break room for water and donuts and a question and answer session, the students boarded a bus back to school. After the first group departed, we followed the same program for our second group of students which arrived at 11:30am. These students were from the Utica School District, specifically Eisenhower High School. 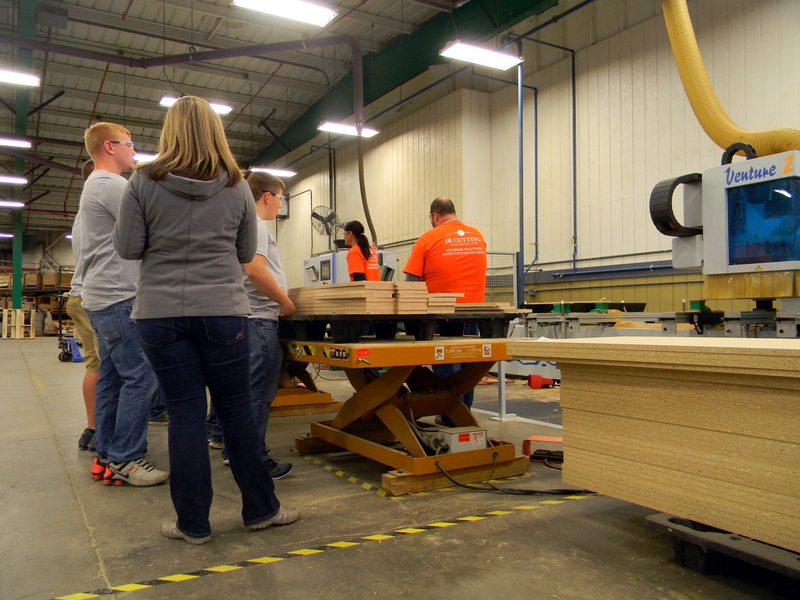 We consider Manufacturing Day a necessity to promote the woodworking industry and to get young people interested in manufacturing. All of the students were very attentive, asked good questions and even participated in running some parts. The future is looking very bright. In fact, four of the students are going to start working at JBC! A great big “THANK YOU” is owed to all of our employees. The shop was cleaned from top to bottom with everything put away and it looked terrific. 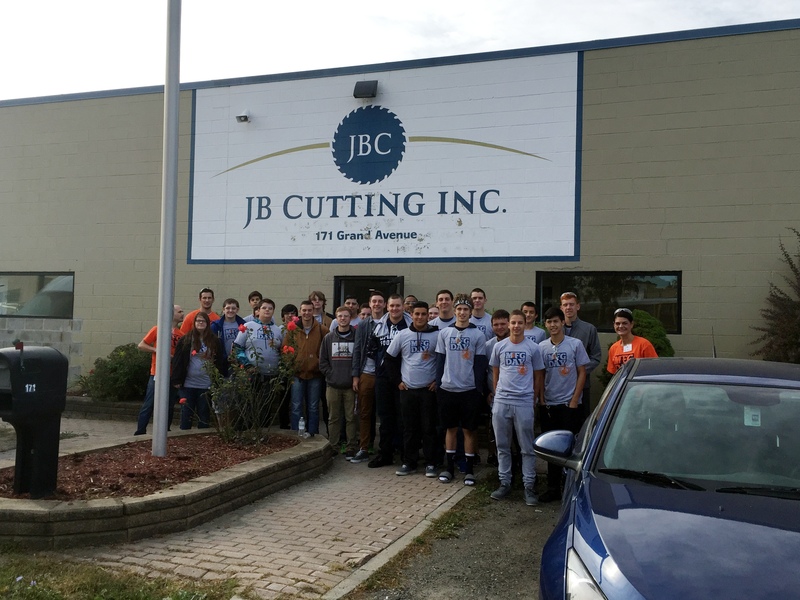 In addition, their interactions with the students portrayed JB Cutting and manufacturing in a positive light and encouraged the students to consider a career in manufacturing.